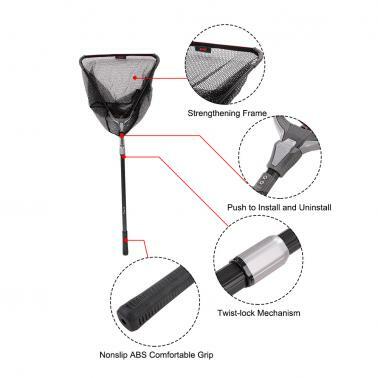 This landing net extends to offer extra reach, collapses for compact storage, and delivers outstanding performance and quality with its triangle hoop, fish-friendly mesh, robust aluminum alloy handle, push-button activated mechanism. 3-section aluminum alloy twist-lock collapsible handle. Nonslip ABS comfortable grip，secure and firm. Push the latch mechanism to install or uninstall the hoop. Durable fish-friendly mesh net, easy to clean. 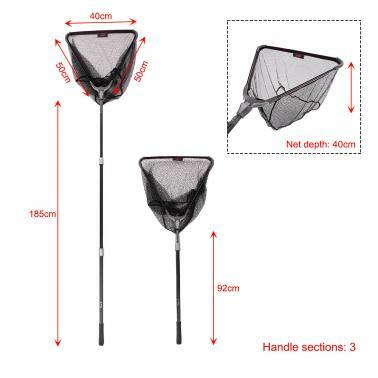 50*50cm net head, with handle extending to 1.85m. 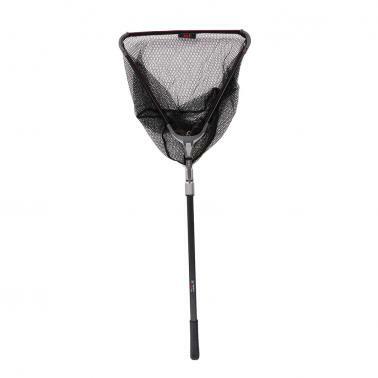 60*60cm net head, with handle extending to 1.88m.